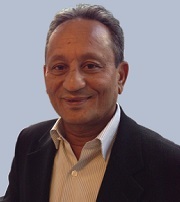 PK is the Chairman of Indxx and founded the business in 2005. He establishes the firm's overall corporate strategy and advises on turning that strategic vision into reality. Raised in India, PK started his career as the co-founder of a leading global fashion brand, Mexx, in the 1970s. The company was based in The Netherlands, where he resided for 15 years. PK was responsible for all finance, operations and distribution functions of Mexx, and established independent operations in other key markets such as Germany, Belgium, France, the UK and Hong Kong. In 1984, Mexx decided to expand its business to North America and PK led this expansion. The Mexx global business continued to grow and by 2006 it was operating in 26 countries with over 500 retail locations and revenues in excess of €1 billion. In 2001, Mexx was acquired by a leading US multi-brand apparel company as one of their core brands. PK holds a degree from The Shri Ram College of Commerce, University of Delhi, India.